This year there are more river cruise ship christenings than oceangoing ship launches, with new vessels being introduced by AmaWaterways, Avalon, Tauck, Viking and Uniworld, among other companies. Now a relative newcomer to the U.S. market for European river cruising, though no stranger to European rivers, is weighing in with its own new ship. This April CroisiEurope will introduce the newest member of its Rhine fleet, the MS Lafayette, a vessel that is sure to resonate with Americans because of its historic name. 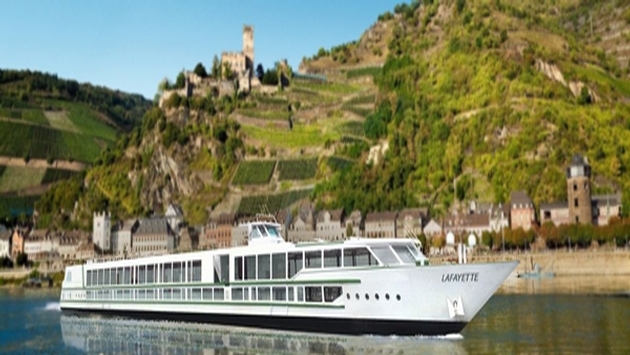 The river cruise company, which already has 38 ships in its fleet, will christen the MS Lafayette on March 28 with Mary Rose N. Reade, the wife of Evan Reade, the U.S. Consul General in Strasbourg, as godmother. The four-star ship will feature cabins that are roughly 161 square feet each with floor-to-ceiling picture windows providing panoramic views of the passing river landscapes. It also will sail on a new and original route that travels through Holland, Germany and Switzerland, including optional excursions to the Mainau Island, Mainz, the Black Forest and the Titisee. CroisiEurope’s newest vessel is named after General Gilbert du Motier, Marquis de Lafayette, the French military hero whose support of the American army during the Revolutionary War helped defeat the British. MS Lafayette will be 295 feet long and can accommodate up to 84 passengers in 42 rooms. 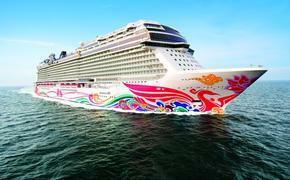 It will feature a large dining room, lounge and deck decorated in modern style. Cabins will come equipped with widescreen TVs, safes, hair dryers, mini bars, and individual air conditioning and heating controls. While it’s relatively new to U.S. river cruisers, family-owned CroisiEurope was founded in 1976 and has been a leader in affordable European river cruises for nearly 40 years. Based in Strasbourg, France, the company has offices in Paris, Lyon, Nice, Brussels, Lausanne, Madrid, London and New York City.